Tener una asignatura dentro del carrito no significa tener asegurado el cupo dentro de esa sección. Dejar los cursos en el carrito significa que la Matrícula no fue realizada correctamente. / Having a course in the cart does not mean having a place within that section. 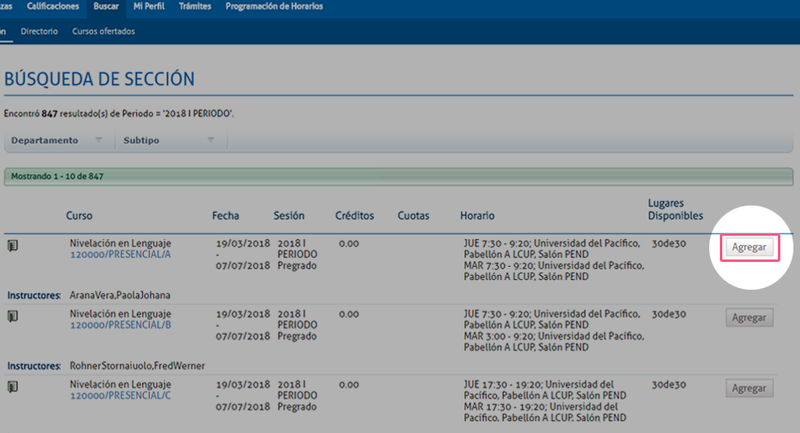 Leaving the courses in the cart means that the registration was not carried out correctly. 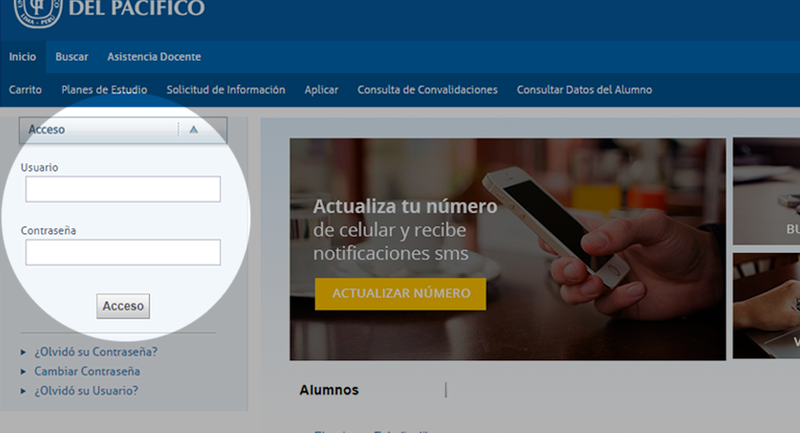 Access to autoservicio.up.edu.pe and enter your username and password. 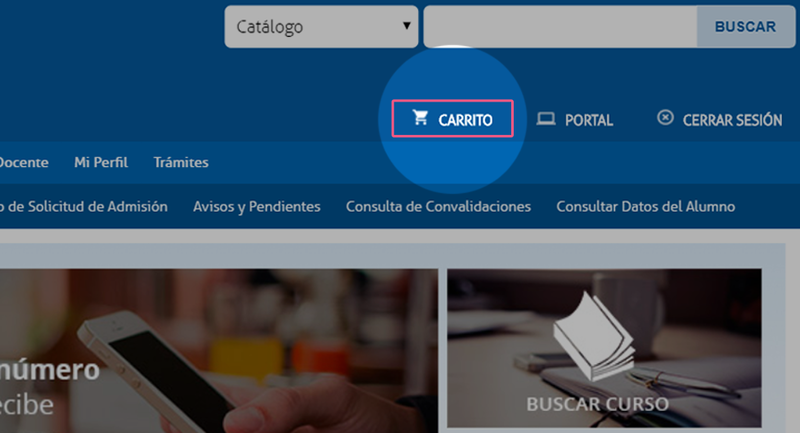 being in the “home” tab we click on the “CARRITO” option. 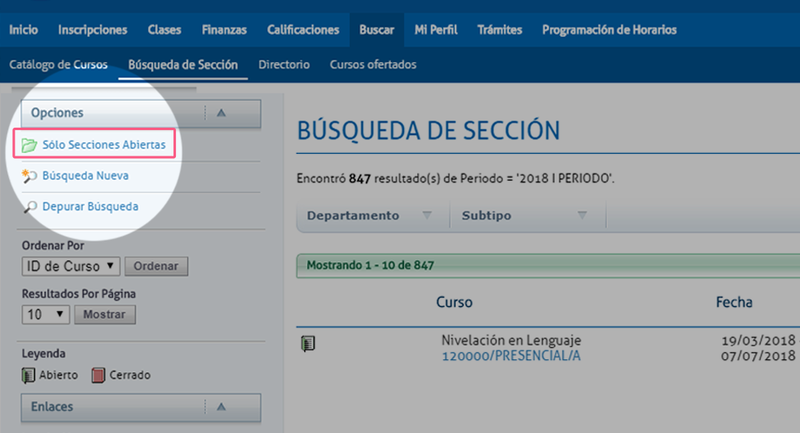 We will select the corresponding period, 2018-II PERIODO and then we will click on “Buscar” search button. 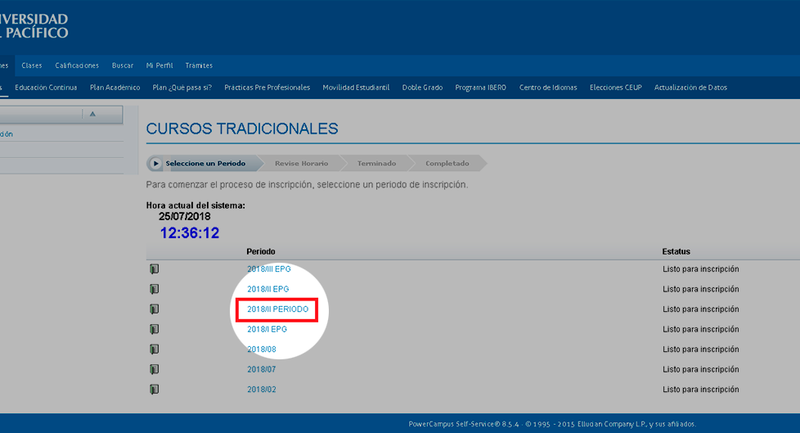 We go to the “Opciones” section and click on “Sólo Secciones Abiertas”. 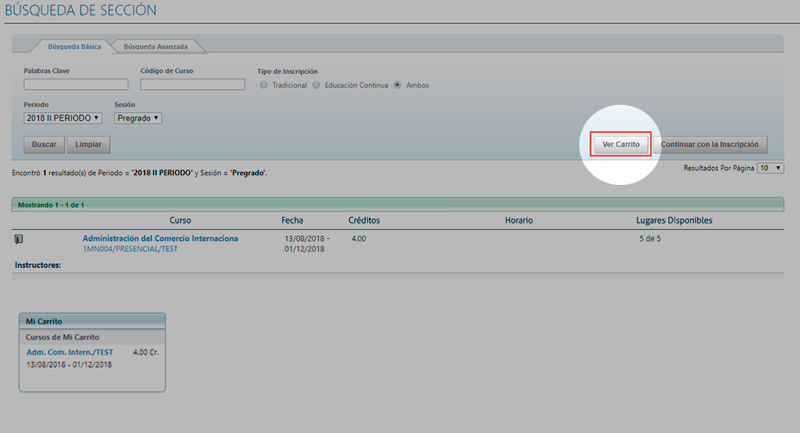 We will add the course or courses of our interest by clicking on the “Agregar” button. 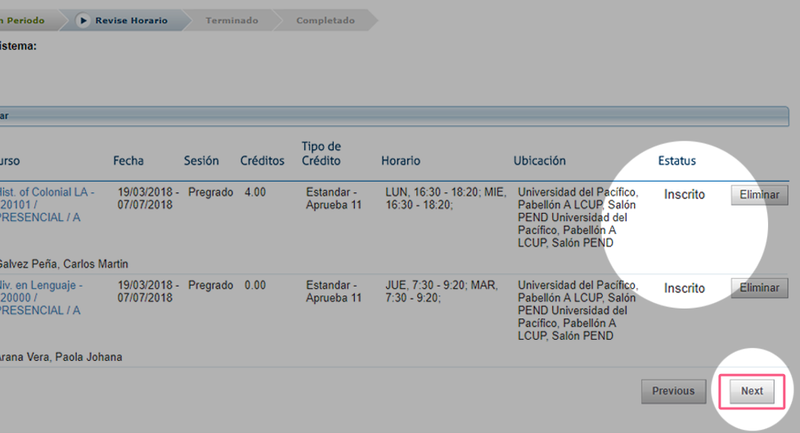 We can also: add more courses or see our (Ver Carrito). 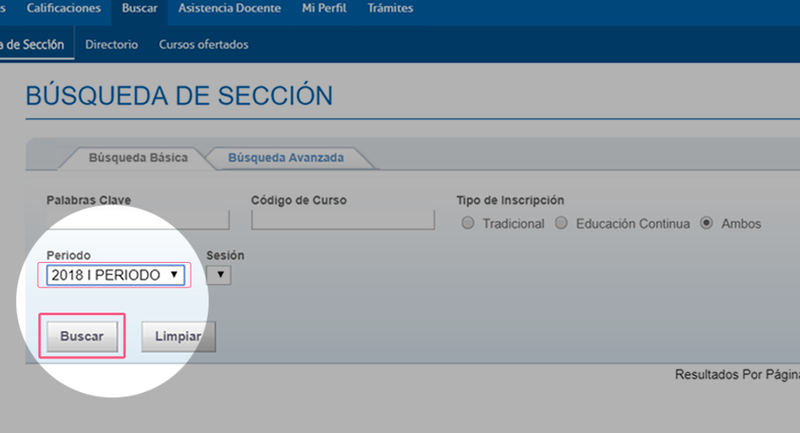 Once we have added the courses of our interest we will click on the “Continuar con la inscripción” button. Up to this point, the status of our courses is "En carrito". To continue we will click on “Next”. 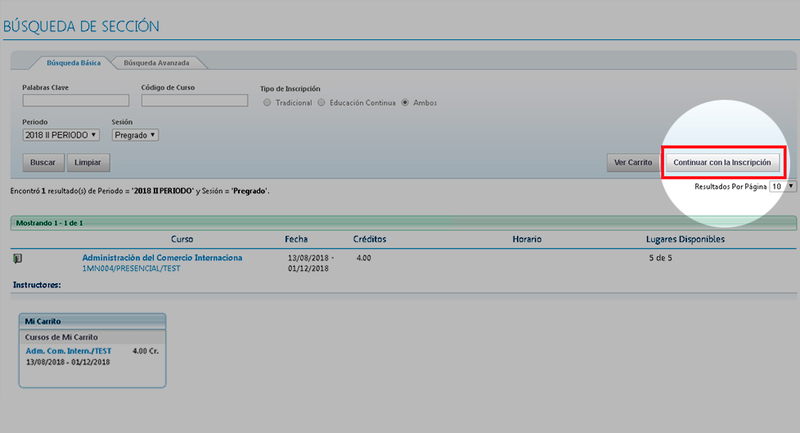 We will note that the status has changed from "En carrito" to “Inscrito”. We continue clicking on “Next”. he following message will appear: ¡Enhorabuena! which means Congratulations! 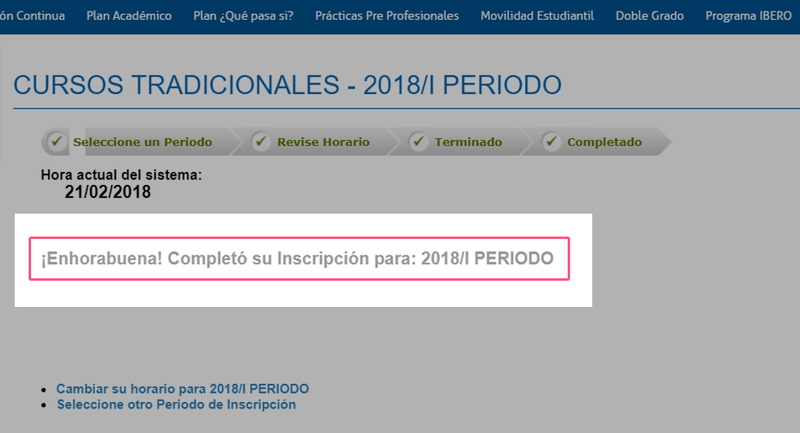 Completó su inscripción, Completed your registration for: 2018 / II PERIODO , this indicates that your enrollment has been successfully completed.